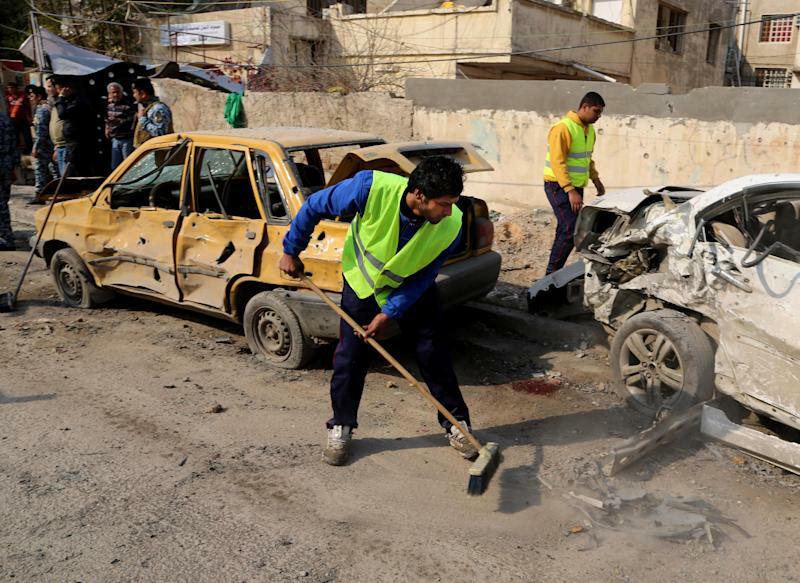 BAGHDAD (Reuters) - Bomb attacks and shootings killed at least 75 people in Iraq on Wednesday, police and hospital sources said, making it one of the bloodiest days in months. In the deadliest incident, a bomb blew up in a funeral tent where mourners were marking the death two days ago of a Sunni Muslim pro-government militiaman, police said. 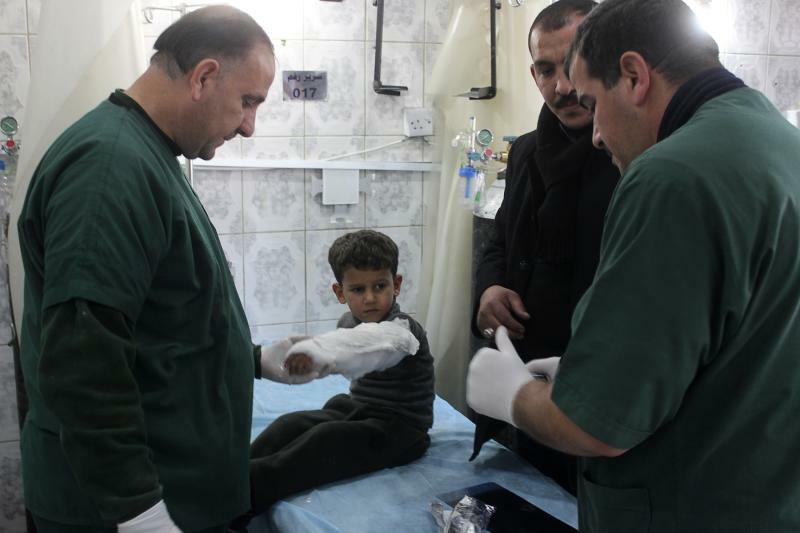 It killed 18 people and wounded 16 in Shatub, a village south of Baquba. In northwestern Iraq, assailants detonated roadside bombs near a bridge in Ain al-Jahash, 60 km (37 miles) south of Mosul as an army patrol was crossing it. Six soldiers were killed and eight people were wounded, six of them civilians, police said. Gunmen killed seven truck drivers, kidnapped two and set three trucks ablaze in the mainly Shi'ite district of Maamil in Baghdad's eastern outskirts, police said. Two years after U.S. troops left Iraq, violence has climbed back to its highest levels since the Sunni-Shi'ite bloodshed of 2006-2007, when tens of thousands of people were killed. The army is locked in a standoff with Sunni militants who overran Falluja, a city west of Baghdad, more than two weeks ago in a challenge to Prime Minister Nuri al-Maliki's Shi'ite-led government. They are led by the al Qaeda-linked Islamic State of Iraq and the Levant (ISIL), which is fighting in western Iraq and Syria to carve out a cross-border Islamist fiefdom. "The battle will be long and will continue," Maliki said on state television, calling for world support. "If we keep silent it means the creation of evil statelets that would wreak havoc with security in the region and the world." Maliki has ruled out an assault on Falluja by the troops and tanks ringing the city of 300,000, but has told local tribesmen to expel ISIL, which has exploited anger among minority Sunnis against a government they accuse of oppressing them. Al Qaeda loyalists are pursuing a relentless campaign of attacks, mostly aimed at security forces, Shi'ite civilians and Sunnis seen as loyal to the Shi'ite-led government. The violence has dismayed leaders of Iraq's autonomous Kurdish region. "This is a disaster," its president's chief of staff Fuad Hussein told Reuters. "Now the whole country is being threatened by terrorists, so we need to have a common front." At least eight bombs struck the capital, mostly in Shi'ite districts, killing 40 people and wounding 88, police and medics said. A car bomb in Dujail, a Shi'ite town 50 km (31 miles) north of Baghdad, killed three people and wounded seven. The bombings followed attacks that cost at least 24 lives the day before, as well as coordinated assaults by militants on a highway bridge and police station near Falluja. A suicide bomber in an explosives-laden fuel tanker blew it up under the bridge near the town of Saqlawiya, about 10 km (six miles) north of Falluja, causing the bridge to collapse and destroying one of two army tanks parked on top, police said. Gunmen then attacked and destroyed the second tank. Simultaneously, dozens of militants stormed a police station in Saqlawiya, whose occupants surrendered. Helicopter gunships attacked the police station, but failed to evict the militants. The gunmen withdrew towards Falluja on Wednesday, making use of a corridor the army had left for civilians. Troops and tanks then retook the police station, turning it into an army base, and civilians living nearby fled towards Falluja, police said. The wrecked bridge spans the main highway leading west from Baghdad across the vast Sunni desert province of Anbar towards Syria and Jordan. 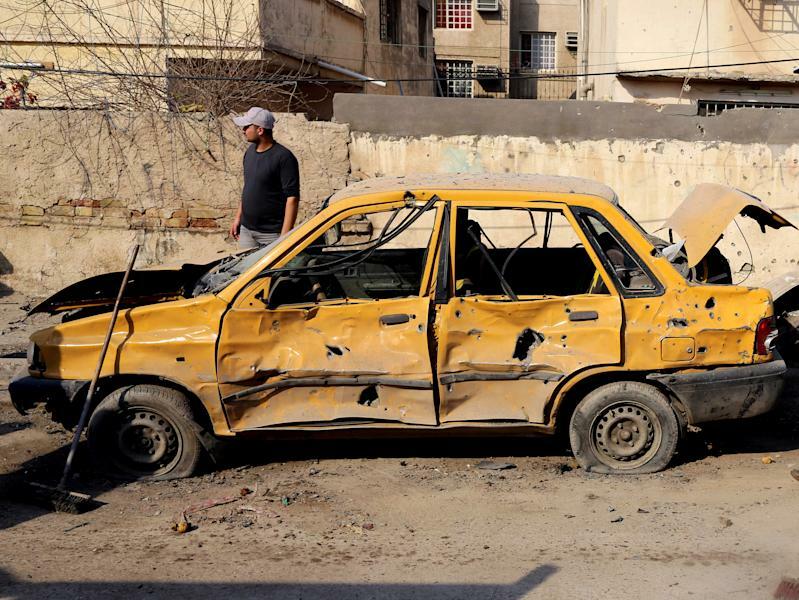 Police said the truck bomber had driven from Ramadi, the provincial capital of Anbar.